The team expects that using Gtechniq products to maintain its fleet will also help improve aerodynamic performance throughout the season. Paul Howarth, team principal of Aston Martin Racing, said: “Success in motorsport is defined by the finest of margins. Using Gtechniq’s advanced paint protection products will help us to extract the optimum performance from our road-car based Vantage GTE not only on the first lap, but throughout each second of the races to come. "All of the pre-season development and testing has been targeted at Aston Martin Racing’s performance and delivery across the 2018/19 super-season – we are delighted to have Gtechniq as part of this." The Aston Martin Vantage GTE is based on the critically-acclaimed Aston Martin Vantage road car, the most performance oriented sports car to come from Aston Martin’s ‘Second Century Plan’. 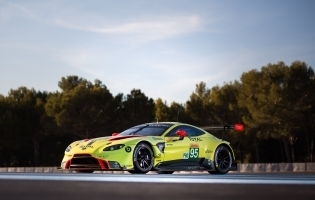 Powered by a 4.0-litre, V8 turbo-charged AMG engine developed and optimised by AMR, the Vantage GTE is the first all-new GT car Aston Martin has introduced to the FIA WEC GTE category in seven years. Following an extensive 10-month testing and development programme that has covered 35,000km and 14 different circuits, the team is confident. They have a competitive and reliable car capable of repeating the team’s 2017 Le Mans glory and a good chance of securing the overall Super Season GTE Pro title.